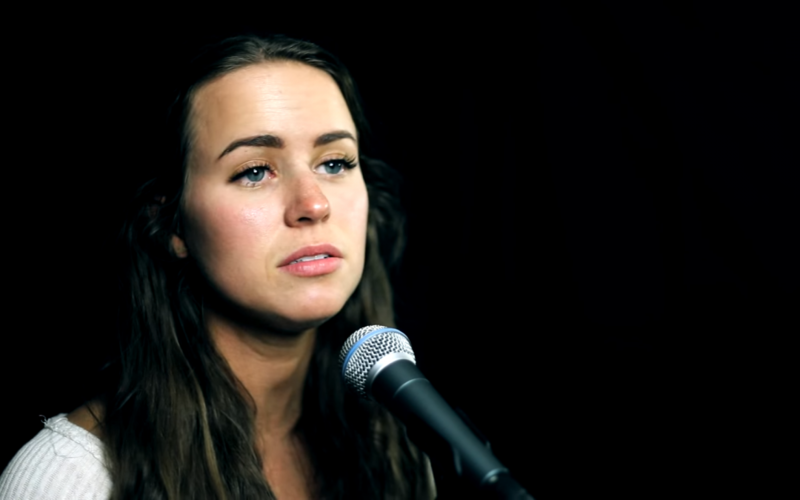 Kenzie Nimmo is a Folk singer/songwriter known for her covers of songs that she shares on YouTube. The 25-year-old has amassed over 314,000 subscribers and over 25 million views on her videos. Nimmo started gaining popularity on the now extinct 6-second video app, Vine. She was nominated for an iHeartRadio Much Music Video Awards in the category of Favorite Vine Musician and a Shorty Award for Best Vine Musician. Nimmo started sharing snippets of her singing on Vine because of her sister, who had seen others doing the same thing and suggested Nimmo start as well. Born in Boston, MA and raised in Bedford, NH, Nimmo has three siblings. She said that music has always been a big part of her life and grew up participating in musical theater productions and performing in other local musical activities. She went on to study music at Brigham Young University where she met Harris Heller. A fellow music student, the two started to collaborate and create covers as well as original songs together. The two were married a year and a half after meeting and have created a music business together. She continues to make music and keeps videos up on her YouTube channel. She has released a few original songs up and continues to work on her music daily.